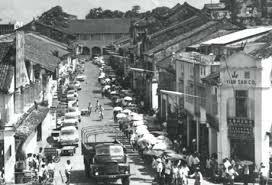 We arrived in Kuching, the capital of the state of Sarawak, East Malaysia, in September 1978. We had taken a boat from Miri in the north down to Kuching. We had to get settled quickly because we knew our second child would be born within only a matter of several weeks. Here I was alone now in a strange city, with a very pregnant wife, and a 21 month old daughter, with no place to go. But God did not fail us. We found a hotel, and as was our practice, we would witness door-to-door, or more accurately, shop-to-shop, business-to-business. It was a way of meeting people, that was not so conspicuous. Though I must say I was still somewhat naïve about our missionary activity. I knew also that we had to give God room to work, and if we got out there and met and witnessed to people, God would provide. In actual fact, by this time, Christina was mostly too tired with her pregnancy to walk the rough streets of Kuching talking to people and passing tracts. So it was up to me with Rachel in the stroller. The people we met absolutely loved Rachel. She was what attracted them to talk with me. Sometimes they would pick her up and run into the back of their shop or house with her, they were so fascinated to see a Western toddler. That had me chasing after them, but it also opened the door to conversations about Christ. Soon enough we met a Christian businessman, Siew, who would turn out to be a real godsend. We only had been given a 2-week visit visa, so a day before this was to expire, and when Christina, was about 8 months 2 weeks into her pregnancy, we went to the local Immigration office to get an extension on our visit visa. We had already been to the local hospital and had made arrangements for the baby to be delivered there. At the Immigration office I asked for a 6-month extension to stay, in order that we might have the baby and give her time to grow before we moved on. That was the story anyway. Understand now, Sarawak, was once a British colony with a strong Christian background founded through many missionaries during the reign of the White Rajah, Sir James Brooke in the 19th century. By this time it was governed by Malaysia and in every government post there was always a Muslim who was head. Often the deputy was a Christian, who ethnically was Chinese or one of the indigenous Sarawak natives, i.e. Dayaks etc. The Head of Immigration called us into his office and asked me why we were there. By this time I realised he had heard about me saying we had come as missionaries, at the border post when we crossed into Sarawak from Brunei. I tried to play it down, saying we had come to help the local people, do social work etc. But his face was hard as a flint. He ordered us out of the country immediately. He said we had to go to the airport and fly back to Brunei. We followed his instructions and went to the airport. I can, to this day, feel that knot in my stomach, and that fear, not knowing how we could do what he required of us. We prayed desperately that God would do a miracle. At the airport, which was very small, I tried to buy tickets to Brunei, but when the Head of the Airport saw my wife, he asked me if she was planning on flying with me. He was Chinese and not a Muslim, but possibly a Christian. I told him the story, that we had been ordered out of the country by the Head of Immigration and the man immediately picked up the phone, in my presence, and began to rant and berate the Head of Immigration. He said it was against international and Malaysian law for a woman so pregnant to fly and that he would not permit us to leave the country on a plane. We were then sent back to the Immigration office in Kuching. When we got there, we sat in the Head’s office, as he personally tried to find another way he could get us out of Sarawak. He phoned the docks looking for a boat but could not find anything leaving soon enough. He was visibly angry with us. Eventually, he came to the conclusion that he had to permit us to stay. But before he would agree to it, he said we needed to get a guarantor, as we were not allowed to work. There was only one person we knew to ask such a thing. Note, we had only just met Siew a day or two before this and we hardly knew each other. But we went to Siew’s office and told him we needed his help to stay. He then drove us back to the Immigration office where the Head grilled him, saying that he would be responsible for everything that we do. The Head really tried to discourage Siew. But he held firm. Without any hesitation whatsoever he signed an unlimited guarantee document. I recall the text of the document required a guarantee amounting to thousands of dollars, which seemed an enormous amount to us then. He was God’s man for the hour. In order to give us the extension–6 months–the Head of Immigration stapled a slip of paper into our passports on which he gave us the visit visa extension. This was so he could save face, and when we left the country there would be no record in our passports that we had even been there. We were able to rent a room in a house from a Chinese girl, Mei-Ling, who also rented a room to a young man who was a Buddhist. He would catch all the creepy bugs in his room and keep them in jars so that he did not have to kill them yet he prevented them from biting him. But we understand that bad things happen because of the Curse, due to the rebellion of our ancestors, Adam and Eve, in the Garden of Eden. From that point in history, thorns and thistle grew, biting bugs appeared, and women have difficulty in childbirth (Genesis 3:16). When it came time for the delivery of our daughter, Christina was in heavy labour, at the Sarawak General Hospital we were told that the baby was in fetal distress. Picture here a hospital where needles are cleaned and re-used. The facility was clean but very old with mostly leftover equipment from the past. The baby’s distress meant she may be ingesting meconium in the womb and they were very worried about her health. This was all brought about by Rosie being breach but too big for a breach delivery. 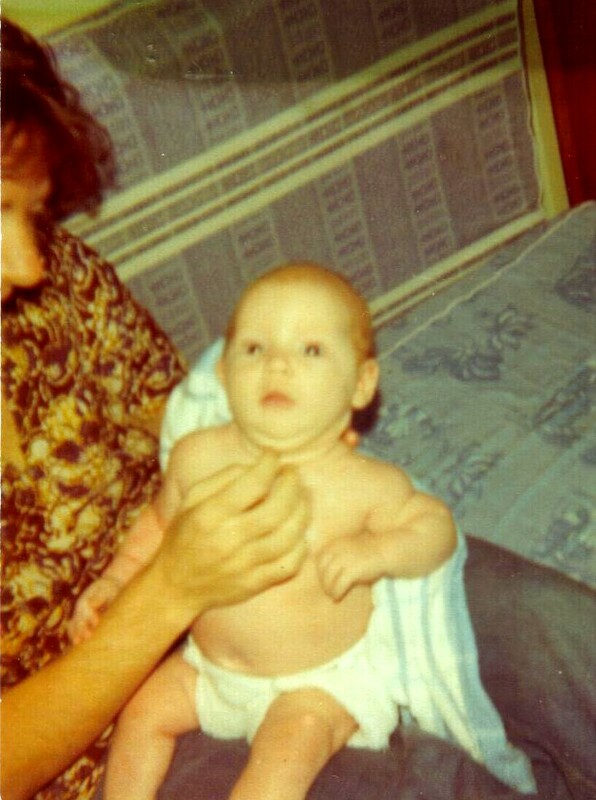 So Christina was rushed to have a Caesarian section. After the delivery we were told the baby was born seizing. Our hearts sank. It was a spiritual battle, and we prayed all the more earnestly. She continued to have seizures for one week, though they administered Valium (Diazepam) to stop them, and eventually the seizing stopped. This was so traumatic for us and baby Rosie. But we trusted what God had given He could and would take care of. One thing we knew was that she was from God. Neither of us had red hair, but God had told us she would be ‘red like a Rose.’ And true enough, she was born with red (or Auburn) hair. God provided the best medical care but mother and baby had to remain in hospital for a total of 10 and 9 days, respectively. This was easy to remember. I will never forget the day I had to go to pay the hospital charges, because they would not release them until the charges were paid. It is worth noting, that while they were in hospital I would bring food for Christina each day and I was concerned about finding sufficient money to get them released. We had no overseas income and relied solely upon God’s supply through those to whom we witnessed. The miracle on that day was that when I went to pay the bill the Lord had provided the amount needed $29.00. I did not have that much money the day before. It was $20.00 ($2/day) for mum and $9.00 ($1/day) for baby (a Malaysian $, or Ringgit, was only $0.25 back then). Can you believe that? It included all medical charges. And we took home our $9.00 baby. The Lord Jesus Christ took care of us, no matter what the Devil threw at us. This entry was posted in Testimonies, Trials and temptations, Witnessing and tagged Brunei, difficulty in childbirth, Immigration, Immigration office, Jesus Christ, John Hartnett, Kuching, Lord Jesus Christ, Miri, missionary journey, Rose-Marie, Sarawak, the Curse, trials and tests. Bookmark the permalink.